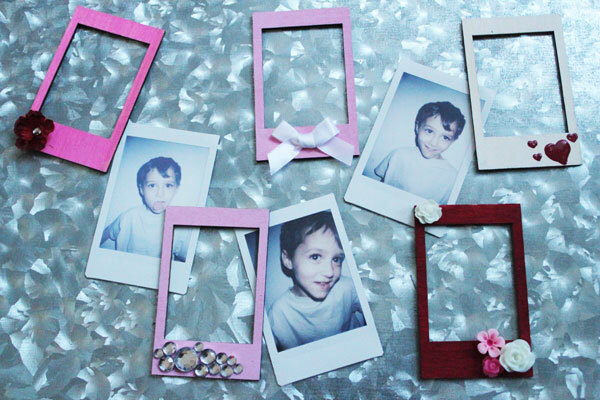 My kids are obsessed with my Instax Camera. They love taking photos of themselves, me, our animals, their legos… anything they can capture in the camera frame. 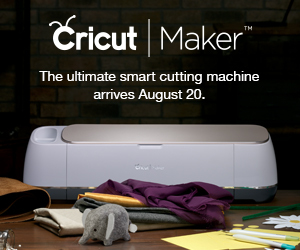 As soon as they take the photo, they get to watch it appear like magic on the photo paper. 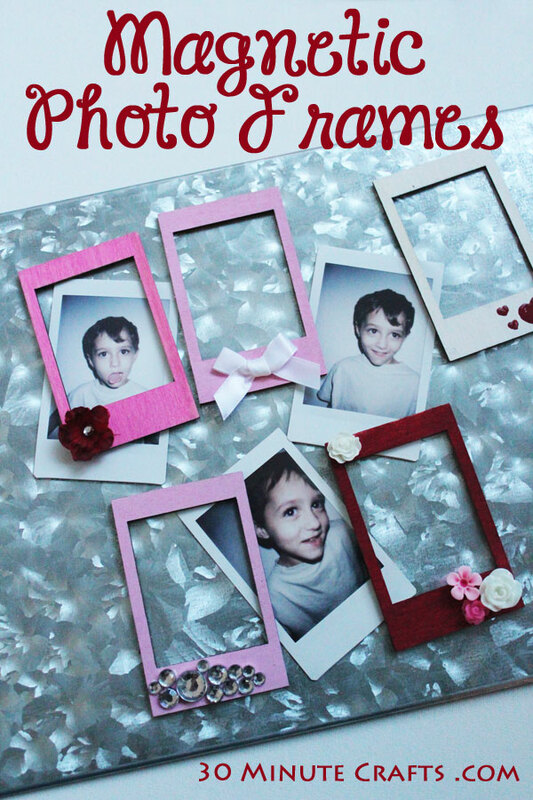 I love finding fun ways to display their photos, like this Instax Cartridge Frame, and these fun Magnetic Photo Frames that are perfect for a Valentine’s Display! 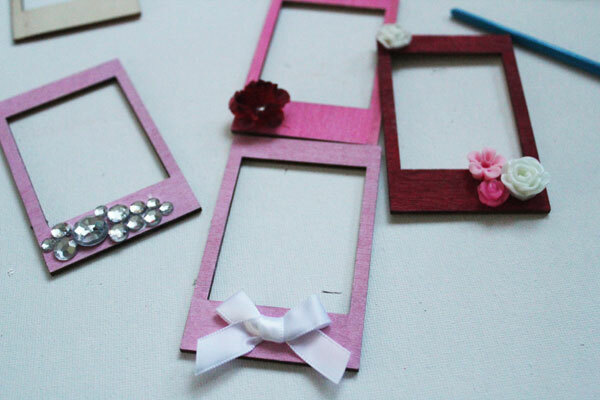 These magnetic photo frames are part of Craft Lightning Valentine’s Day. 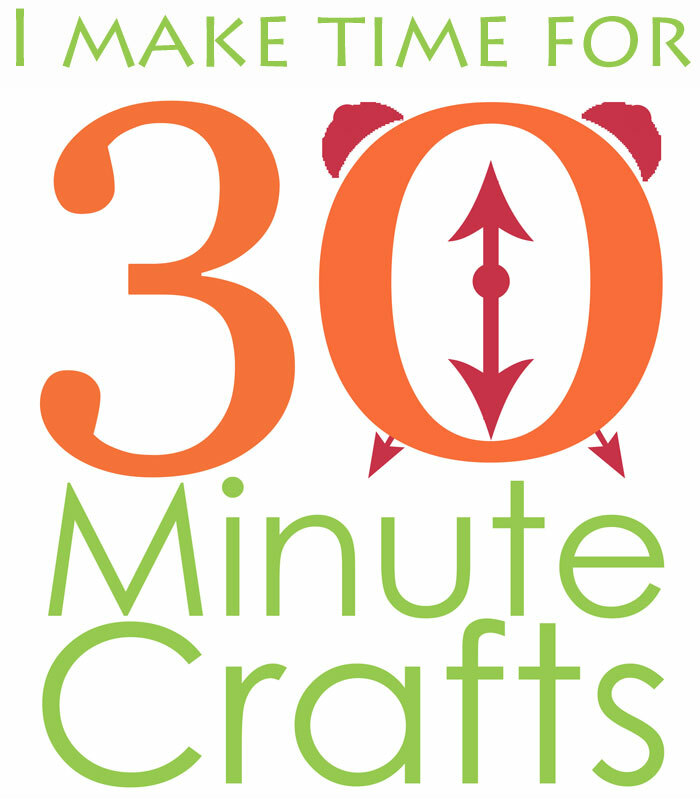 All week long my crafty co-hosts and I are sharing fast and fun Valentine’s crafts that can be whipped up in 30 minutes or less. 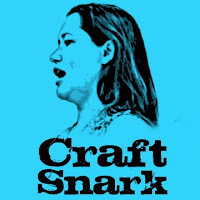 We’ve asked our crafty friends from around the internet to join in. 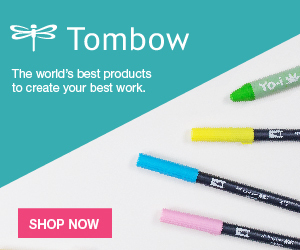 Check out all their ideas at the bottom of this post. 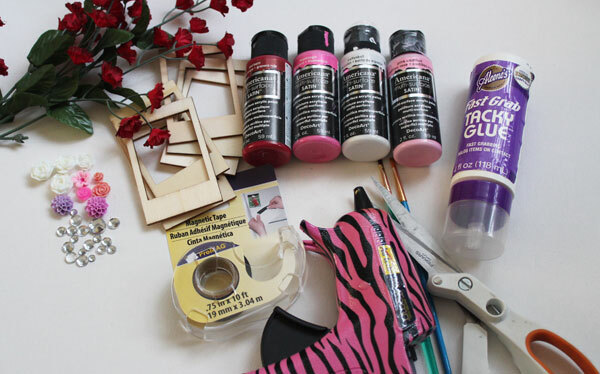 Decorations – rhinestones, ribbon, flowers, etc. 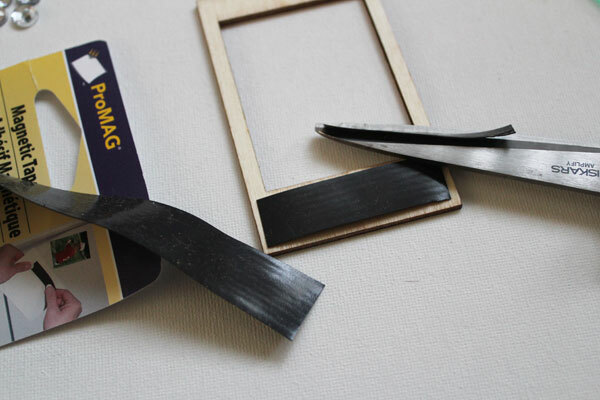 Measure out the right amount of magnet tape, cut. 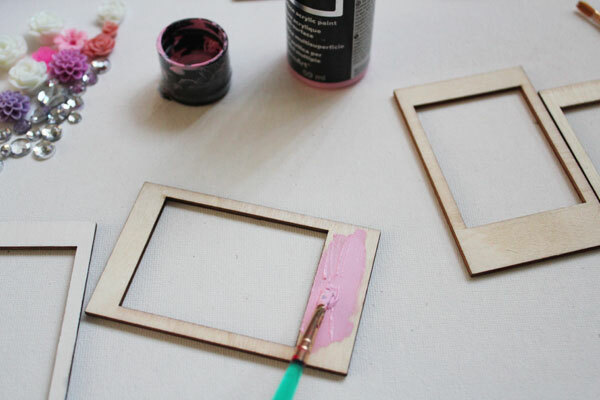 Cut into one wider and one more narrow strip, and adhere to top and bottom of the wooden frame. 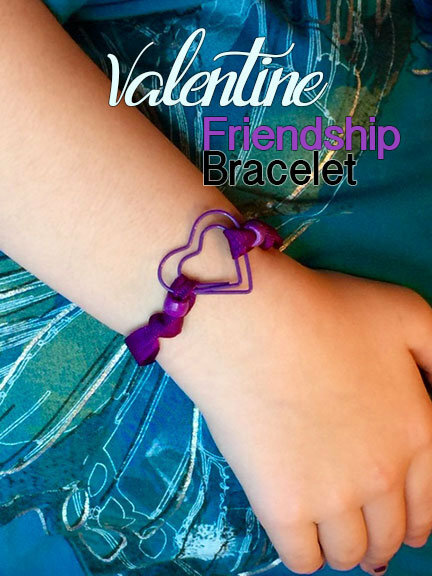 How cute is this Valentine’s Bracelet over at Try it Like it? 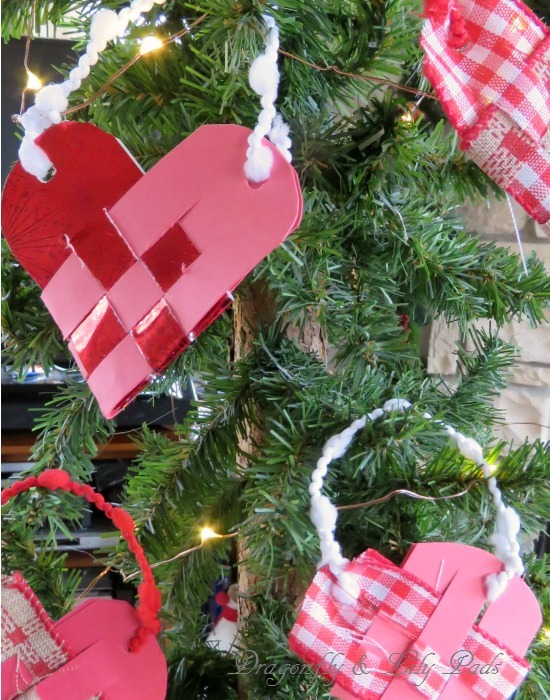 Over at Dragonflies and Lilypads, you’ll find a fun twist on the classic Scandinavian Woven Heart. 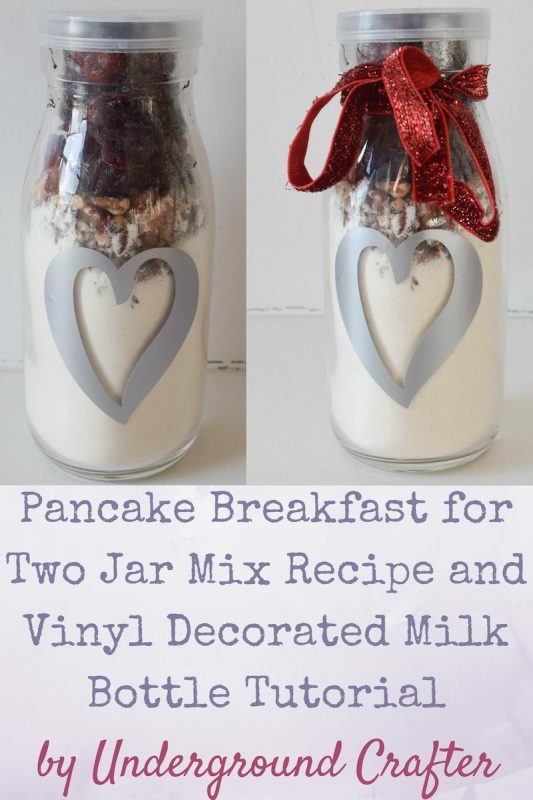 Underground Crafter gives me a serious case of “why didn’t I think of that?” with her pancake breakfast mix for two in a bottle. 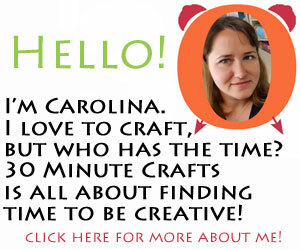 Don’t tell my husband, but one of my dreams is to have a full set of china for every holiday. 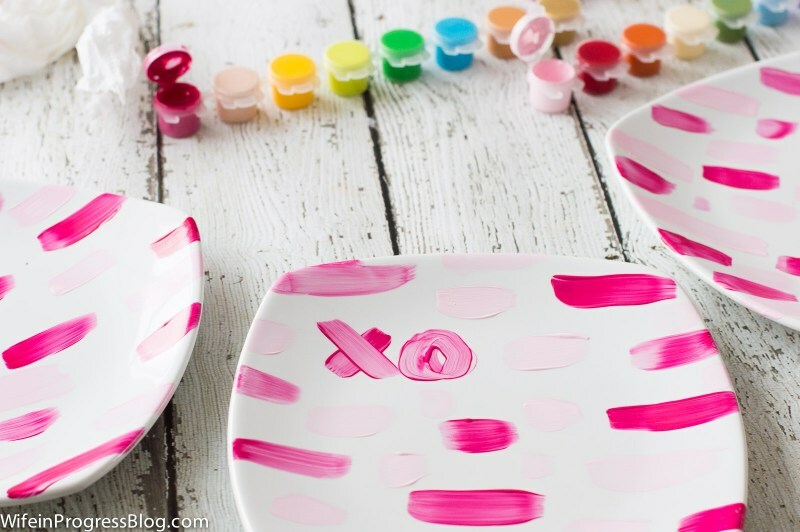 I’ll be one step closer with this great idea for painted Valentine’s plates from wife in progress. 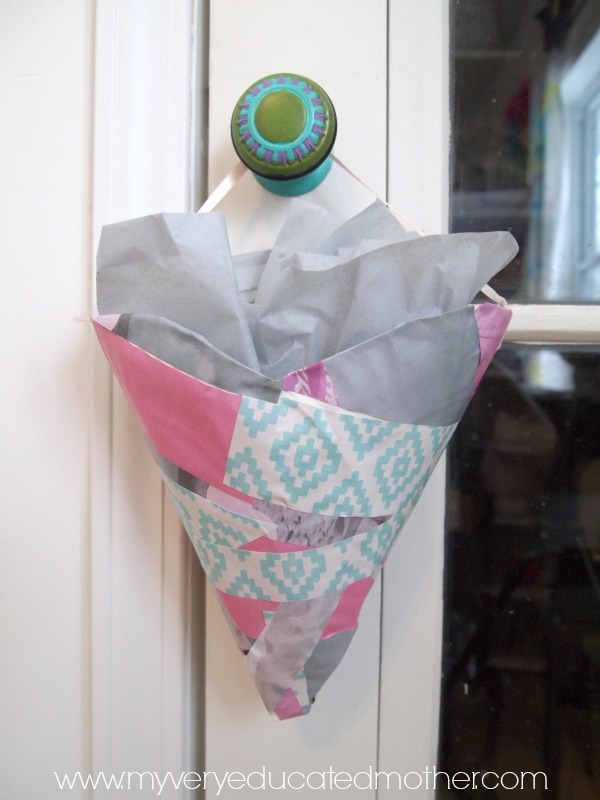 Skip the traditional tissue-box Valentine’s holder for this fun door hanger valentine holder from My Very Educated Mother. 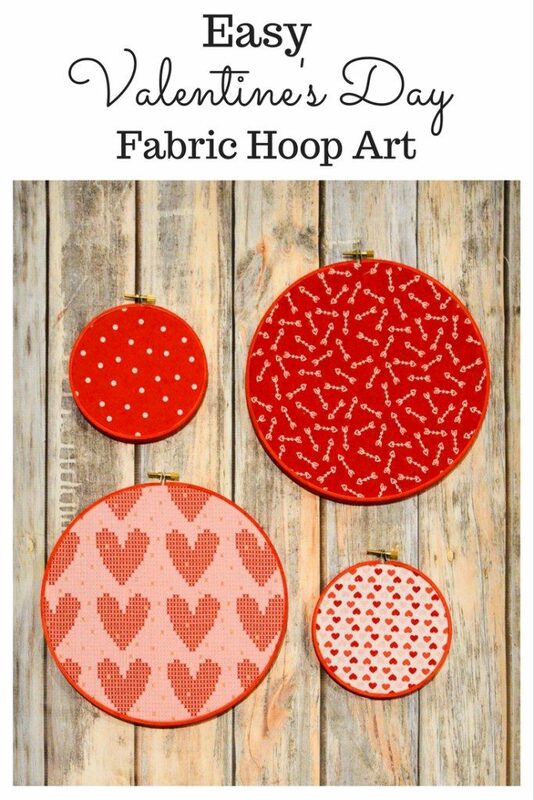 Albion Gould whipped up the easiest ever Valentine’s hoop art – I love this no-sew project! 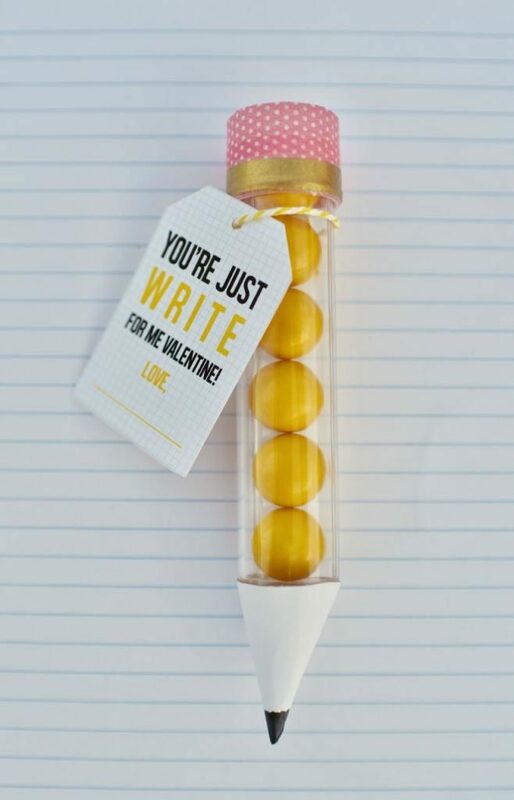 Laura from Make Life Lovely, our crafty co-host for this week’s series, designed these adorable pencil valentines. 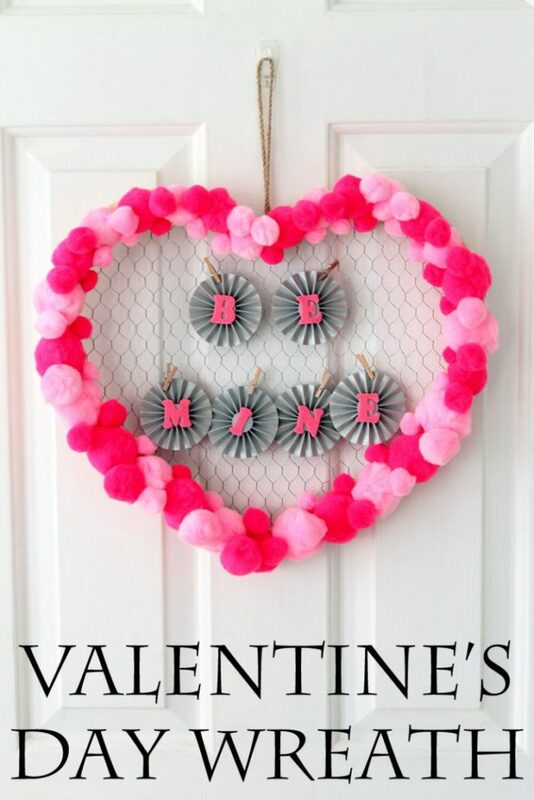 Over at The Country Chic Cottage, Angie has been co-hosting this series with me for years… and she made this great (and surprisingly simple) Valentine’s Wreath.